JOHN FOGERTY: CENTERFIELD: 1985: 4 1/2 STARS OUT OF 5 STARS: IPOD: Fogerty’s most celebrated post-CCR work. In the 45 years since the break up of Creedence Clearwater Revival- John Fogerty who was churning out the songs like crazy for a 3-4 year period has only released six albums of new material. I am a big baseball fan- Centerfield is one of the great baseball songs. The opening track- The Old Man Down The Road- ended up having Fogerty being sued by Fantasy Records owner Saul Zaentz who claimed the song had the same chorus as “Run Through The Jungle”-which was also written by John Fogerty. Zaentz lost his suit and Fogerty then sued Zaentz and the US Supreme Court ruled that Zaentz had to pay Fogerty’s court costs. The song reached #10 on the singles chart. Other favorites on this- Rock and Roll Girls, Big Train From Memphis, I Saw It On TV and the closer-Zanz Kant Danz- I wonder who that was about? THE PRETENDERS: THE PRETENDERS II-1981: 4 STARS OUT OF 5 STARS: VINYL: After the debut album this one was kind of a disappointment at the time-nowhere near as powerful. It does contain two of my favorite Pretenders songs- Message of Love and Talk of The Town. Another Kinks cover -I Go To Sleep, The Adultress, Bad Boys Get Spanked are some favorites on this album. The first side is better than the second in my opinion. 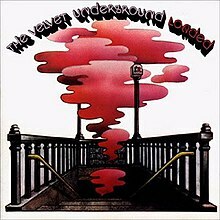 VELVET UNDERGROUND: LOADED: 1970: 5 STARS OUT OF 5 STARS: VINYL: There are a number of acts that should have been bigger than they were- of the four Velvet Underground albums the debut album went to highest on the US album chart-reaching #129. In a just world all four VU albums would have went to #1 and the radio of the winter 1970-71 would have been dominated by them. In my alternative planet Earth- three VU singles from Loaded go to #1 on the Billboard charts- first Rock&Roll spends a few weeks at #1 then the follow up Sweet Jane is #1 for two months and as spring arrives the third single “Who Loves The Sun”-hits the top. The VU never had a single on the charts- to me these three songs should have been big hits- along with many others. The Velvet Underground and The Ramones didn’t sell many albums during their prime but as someone once said- they may have only sold 10,000 albums but everyone who bought one started a band. BOB SEGER: STRANGER IN TOWN: 1978: 4 STARS OUT OF 5 STARS: VINYL: Bob Seger is the minor league pitcher stuck in the minors for years and years before finally making the majors and once he makes it does well. Seger kicked around for years- he was big in Detroit but nowhere else until his 9th album- Night Moves in 1976 which exploded behind the single Night Moves #4. Stranger In Town was the follow up to his big success- and it was even more successful than Night Moves as far as the album chart success and singles go- it’s not as good but still a strong album. Four songs from the album hit the Top 40- Still The Same, Hollywood Nights, We’ve Got Tonite, and Old Time Rock and Roll. The album would go 6x platinum and Seger had proven himself as not being a fluke. He’d made the big time. 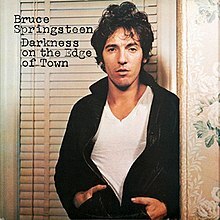 BRUCE SPRINGSTEEN: DARKNESS ON THE EDGE OF TOWN: 1978:VINYL: 5 STARS OUT OF 5 STARS: VINYL: The first Bruce I got and still my favorite. This was Springsteen’s fourth album and was a big departure from his first three- a stark album dealing with adulthood and responsibilities. The theme would continue with the next album- The River. The only song that seems kind of weak to me is Factory, the rest are Bruce classics. It is interesting that at this time Bruce was writing a lot of great songs- some of which wouldn’t find their way on this album because they didn’t fit the theme he was going for. The documentary that came out in 2010 about the making of the album and the two disc cd “The Promise” a great companion to this album. 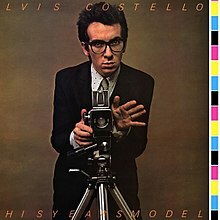 ELVIS COSTELLO: THIS YEARS MODEL: 1978: 5 STARS OUT OF 5 STARS: VINYL: Elvis’s first album with The Attractions and they are the big difference in the debut album and this the second album. Steve Nieve’s keyboards stick in your head long after you’ve listened to the album. The songs themselves are like the debut- full of anger. Favorites on this one- which is probably my favorite EC album [ with this or the third album Armed Forces} – well the entire album. There’s a part of me that wants to learn more about Seger’s work than the radio hits I grew up on, but I just never bother. And seeing him juxtaposed to Springsteen on your playlist better describes my feeling about it than I can write it. The spirit is there with Seger and his heartland rock brother Mellencamp (who I consider to be a notch higher up than Seger, but I’ve listened to far more of John’s work), but Bruce has always been on a different level. Great stuff as always! I totally agree with you on Seger- JC Mellencamp and The Boss! You have me in a baseball mood with Centerfield. Great song.